Tron Dance - all about LED dance performance! THE HIGHLIGHT FOR YOUR EVENT! Looking for something original for product lunch, anniversary or party? Tron Dance performance can be used to heat-up your audience! What is Tron Dance show? It is original connection of dance, light and music. It's simple explanation, we know, but more about Tron Dance, LED suits, How to control and work with them, you can read on our blog. dance groups and complete technical equipment to do great every your event. For order show please contact us! While performing Tron Dance show for our clients, we've developed complete Tron Dance system for creating and performing LED dance shows. 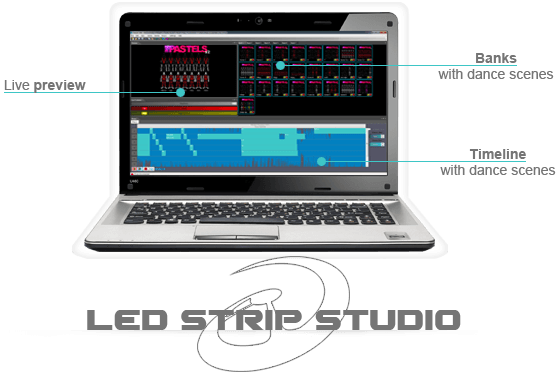 We offer complete package of LED suits, controlling electronics and controlling software. You'll just need dancers and a computer to make it all work. 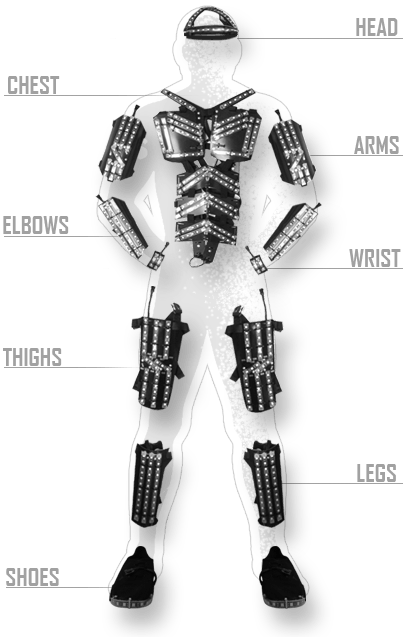 Our LED suits are made out of firm plastic pieces that provide skeleton for the suit. We attach LED lights onto this plastic. It makes the suit reliable and rigid enough to support the LED while being suitable for dancing. It's very light to wear and doesn't prevent any of the dancer's movement. Since the plastic skeleton is very flexible, you can use it for almost any person. We recommend using it for dancers with heights from 160 to 210cm. We suggest wearing thin black T-shirt and trousers under the LED suit, so the dancers feel comfortable and don't sweat too much.  For buy suits or control system please contact us! Main Ethernet Controller is 1U box, which transmits wireless signal to the LED Suit Receivers. Since it's connected with the computer over Ethernet cable, it's really easy to install it even 100m from the computer. Receives wireless signal from the Main Ethernet Controller and sets color of each of 16 segments of the LED suit. It allows you to set "address" of the dancer from 1 to 10. It contains many safety features and fuses to prevent anything to happen to the dancer. 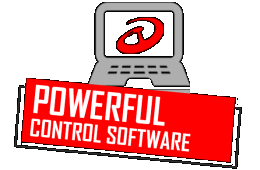 Control software is probably the most important part of the whole system. 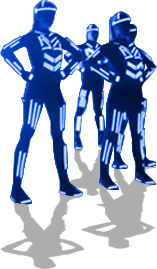 It allows you to create and play complete Tron Dance shows synchronized to the music. You can create color changing sequences for all your dancers separately. 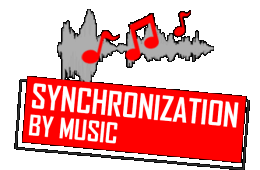 And it allows you to synchronize them with the music. 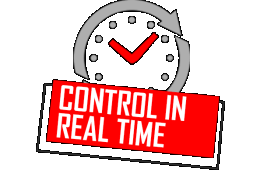 For more professional applications especially for TV shows you can also use Midi MTC to synchronize the performance with the external time code. 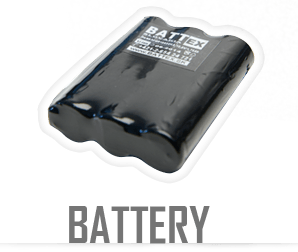 It allows you to charge up to 8 batteries at once. It takes about 2 hours to fully charge the batteries. Battery charger can charge up to 8 batteries in same time. It's 12V battery, which powers up the whole LED suit and LED Suit Receiver. It works for about 20 minutes at full white color with our standard LED suits. 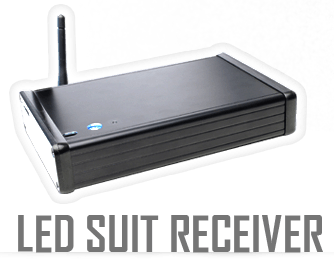 You can use our suits wherever you want without having to bother with any cables. 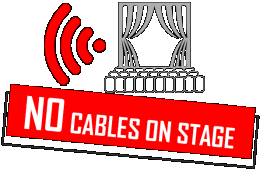 Thanks to the Wi-Fi controls the dancers can move freely - among the audience, out of the stage, simply, wherever you want them! We've developed a fully functional software for controlling LEDs, on the suit or outside of it. In this program you can simply create color effects, set-up the suits, or calibrate the color settings, all to your preference. The main aim is for the user to be able to quickly, easily, and intuitively create a show that will be perfectly synced to the selected music. Need to use an SD-card? Do you need the LED Suits to work outside the range of Wi-Fi? 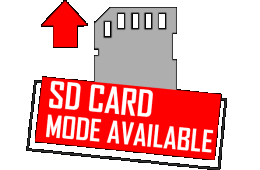 Simply export the effects onto an SD-card and they will play automatically, even without a Wi-Fi connection. Here is small example How to use SD-card. A sudden mistake, a forgotten detail, or did your client just change their mind last minute? No worries, you can simply make a change and the suits will react to the change immediately. Are you worried that your dancers won't be able to move freely with the suits? Or that the suit will restrict some moves? Don't worry, with our suits your dancers can do anything, even a head-spin!